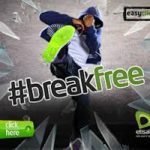 In this post we would be looking at Etisalat Recharge Codes And All Available Transfer Codes. As we are aware that Etisalat was founded in 1976 with its headquarters in Abu Dhabi, United Arab Emirates. Etisalat grew over the years with openings in several other countries of the world especially in the middle East and Asia. In 2014, Etisalat had employed about 42,000 people across the world in their respective branches. In October, 2008, Etisalat came to Nigeria. 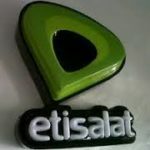 Etisalat like every other telephony companies in Nigeria began to offere both data and voice/sms services. 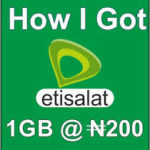 Etisalat started with 0809 series with the 0809ja slogan. Just as it grew across the world, it has grew to stand and sustained it stand as one of the major telecommunication companies in Nigeria with ever increasing customer base. In this article, we shall be discussing how to transfer data and credit from one etisalat line to another. We shall look into the details of these services as rendered by etisalat. 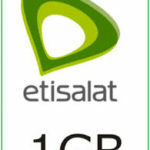 Data transfer is possible under etisalat package called Easyblaze. 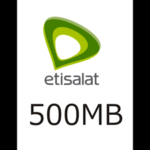 This package enables you to transfer data from one etisalat line to friends and family who are on the network. You’re allowed to transfer between 10mb and 50mb per transaction. You’re also required to have at least 100mb before you can transfer data. There is a daily limit of five transactions per day. Dial *917# and then select option 3 to buy data. After that pick option 5 to choose a data bundle of your choice. You may also do that through *200#. After buying a data bundle, the next thing is to learn how to transfer data. To transfer or share data, kindly dial * 229 *PIN * amount of mb * recipient’s mobile number#. In the case whereby you don’t have PIN or you have forgotten your PIN, please contact the customer care service on 200. Make request and you will be assisted. Dial * 223 * Security Code * Amount* Mobile Number #. For instance, if you are willing to transfer N500 to 08091234567, then you dial *223*0000*500*08091234567#. In this regard, your security code is the same as your PIN. Your default pin is 0000 and you are required to change it to any four digit number of you can easily remember but hard for anyone to guess. If you have changed your PIN and along the you have forgotten it, you may contact the Etisalat customer care representative via 200. Simply ask for a PIN reset and that will be all. With the above details, you can be able to share love with friends and family members with your data and credit on the etisalat network. Go ahead and show someone how much you care. Happy sharing! 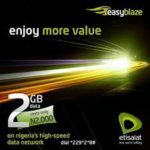 Was on N100.0 Etisalat bundle and want to migrate to N300.0 bundle.what do I do ?